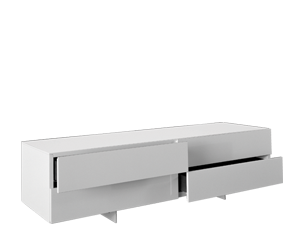 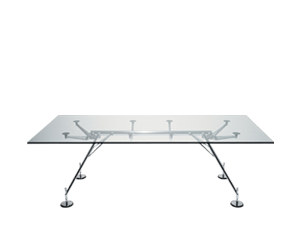 The T334 and T335 collections of tables for prestige environments are among Tecno’s recognised classics. 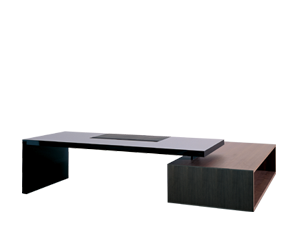 The collection stands out for its powerful, distinctive and refined design, masterfully expressed through wood tops combined with polished aluminium bases. The large number of stylistic and functional variants offered in the catalogue can be constructed simply by varying the arrangement and number of elements. 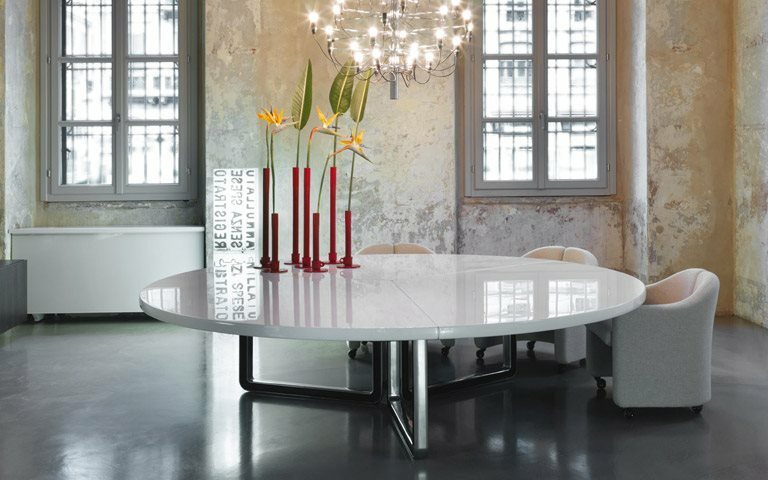 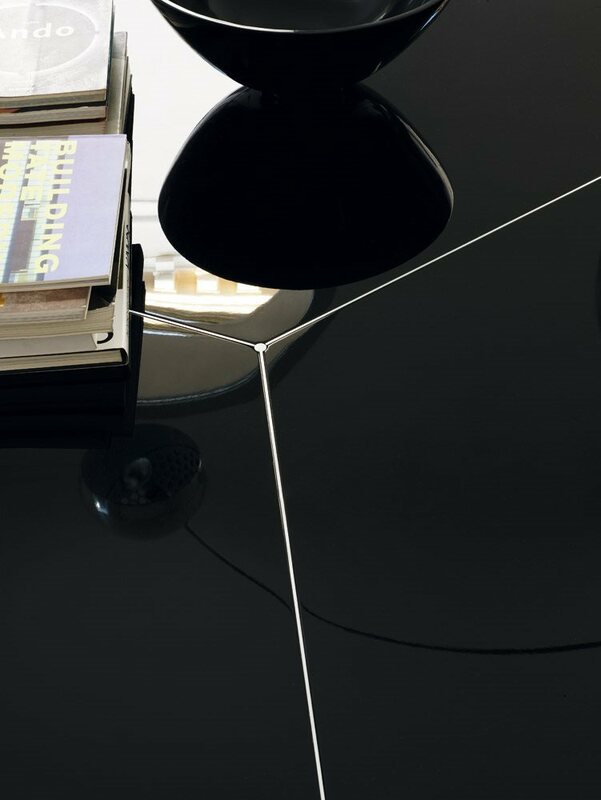 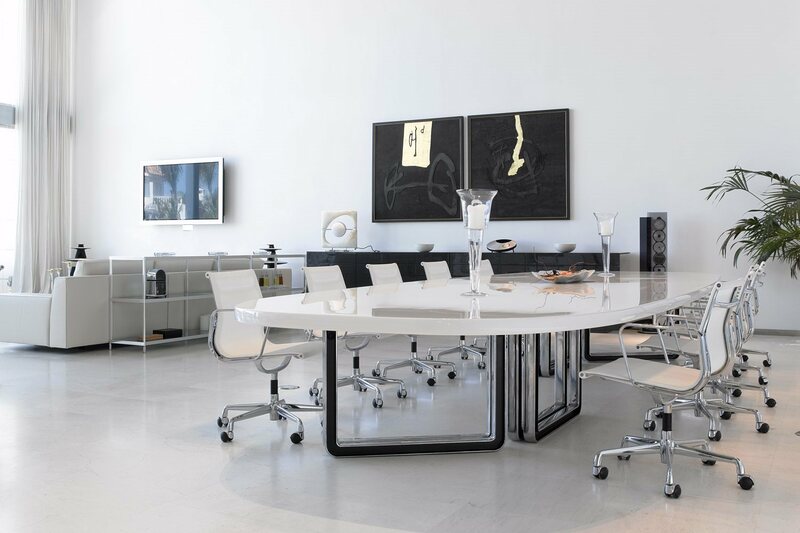 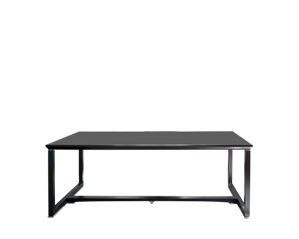 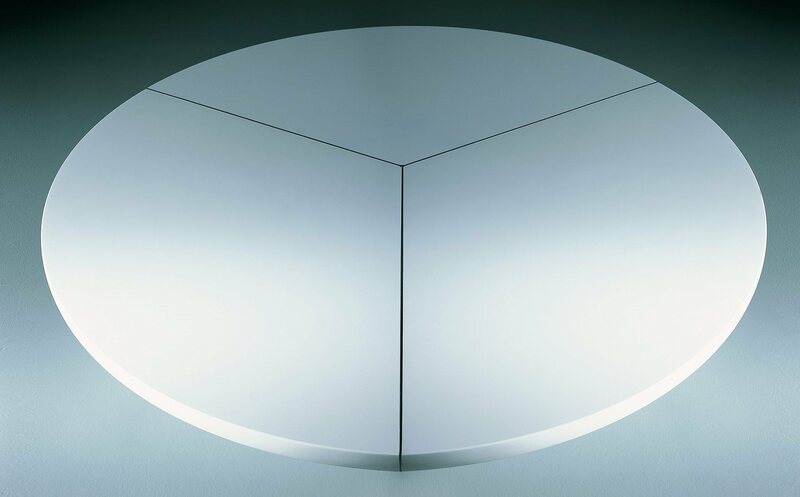 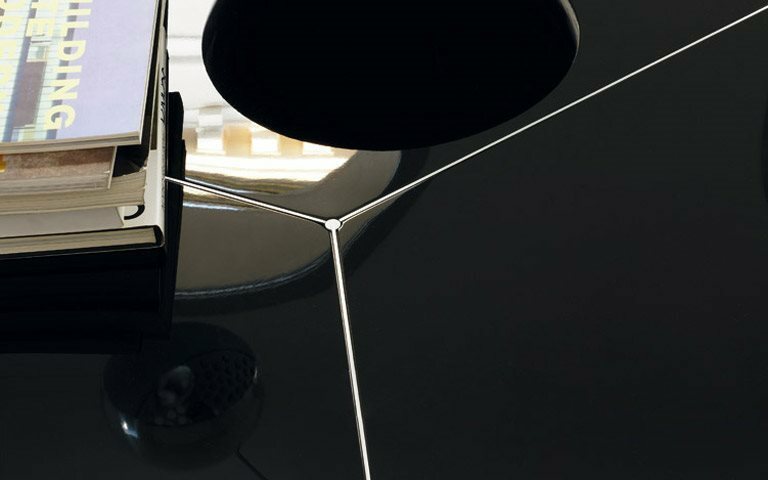 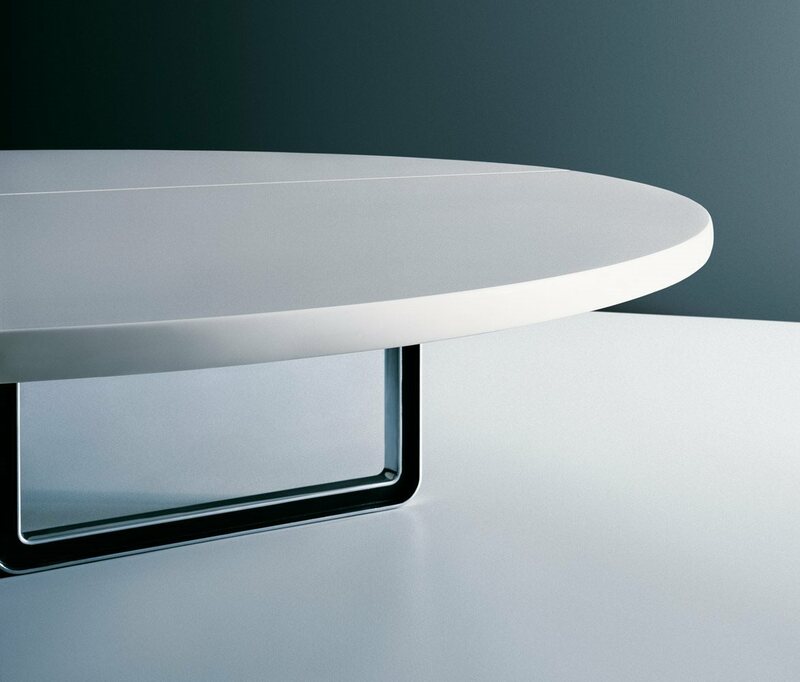 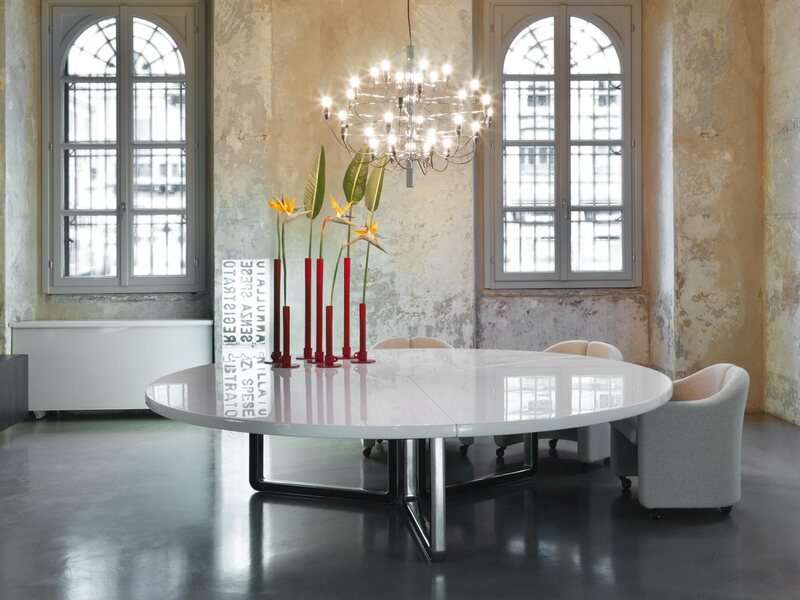 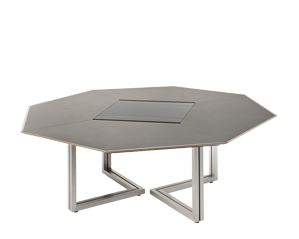 The uniqueness and instant recognisability of T334 and T335 tables is the result of the unmistakable double “T” shape clearly visible in the section of the cast aluminium ring bases, which are polished to a mirror finish on visible surfaces, and in the diagonal ties between the various sections of top, accentuated by aluminium profiles. 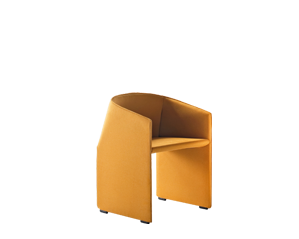 Two height variants are available. 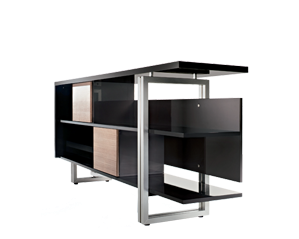 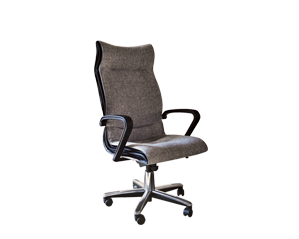 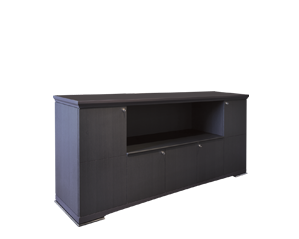 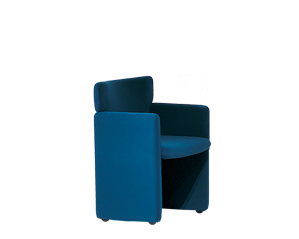 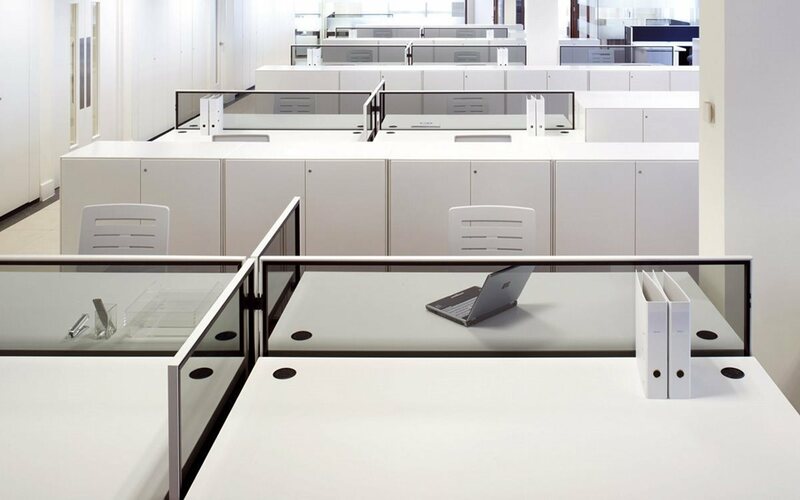 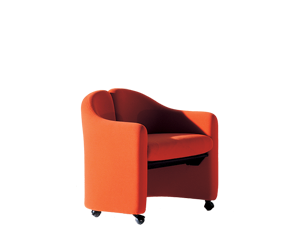 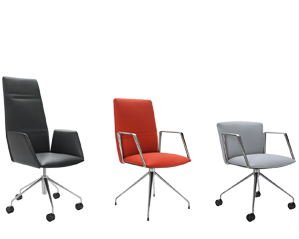 The lower variants (H 64 cm) emphasise the imposing nature of the design and perfectly suit the horizontal layout of modern office environments. 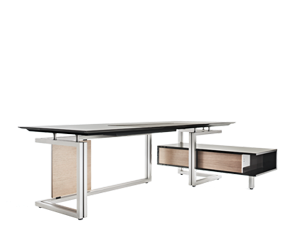 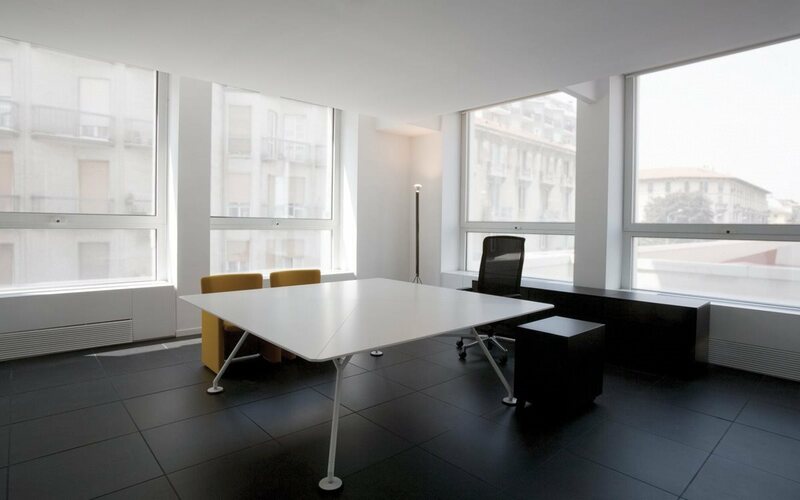 With the higher variants (H 71 cm), seating becomes interchangeable and the tables can also be used as normal desks. 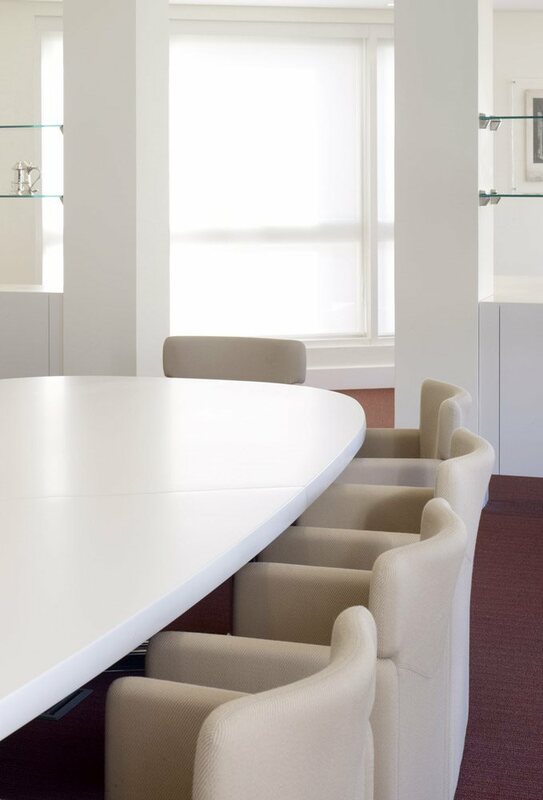 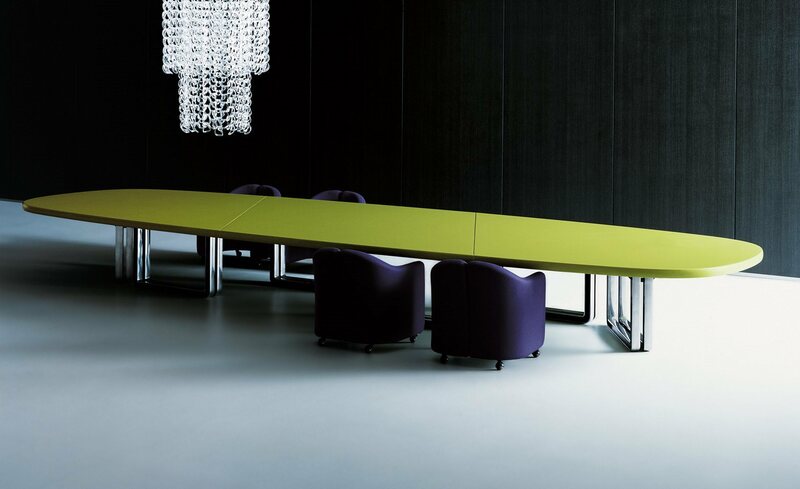 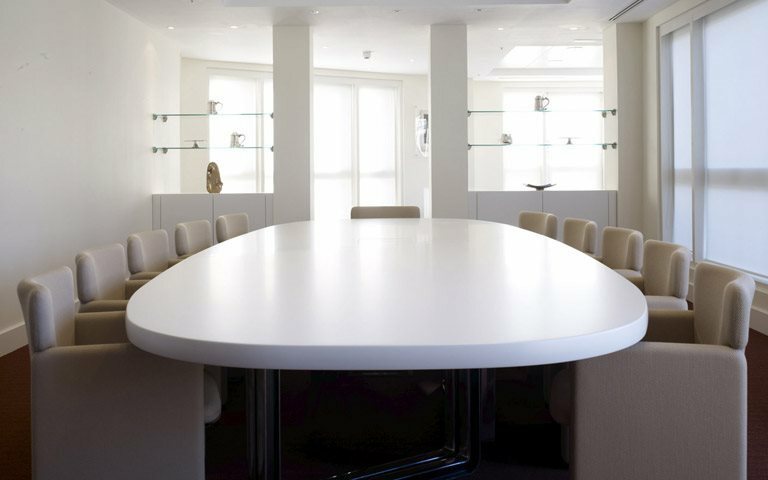 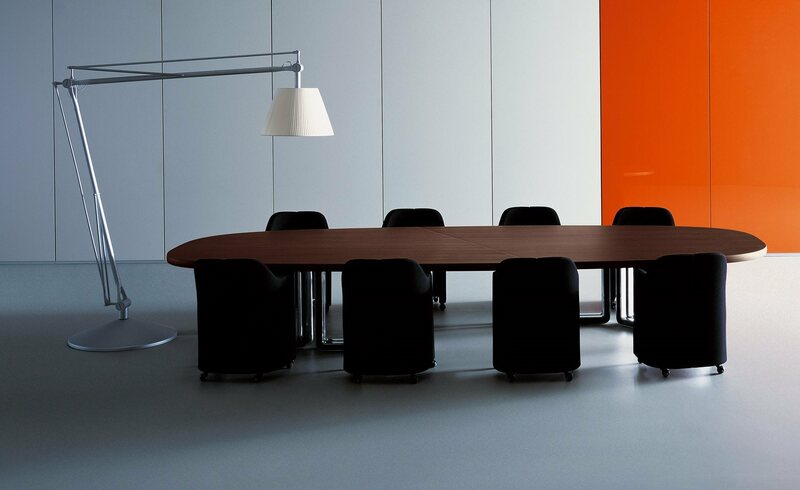 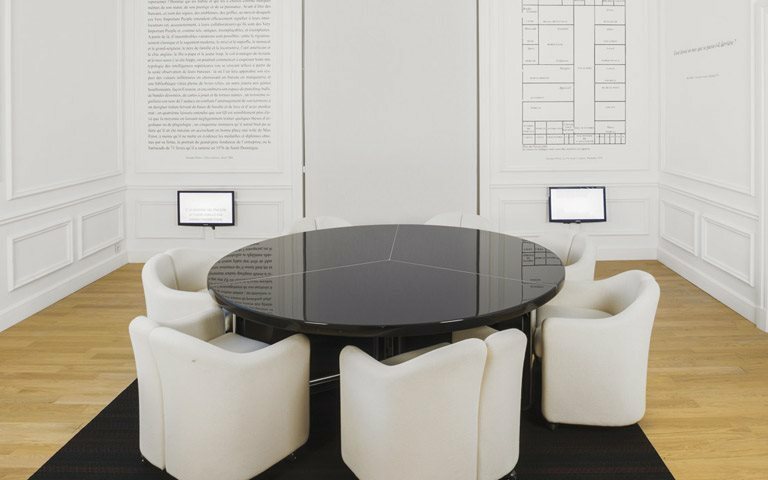 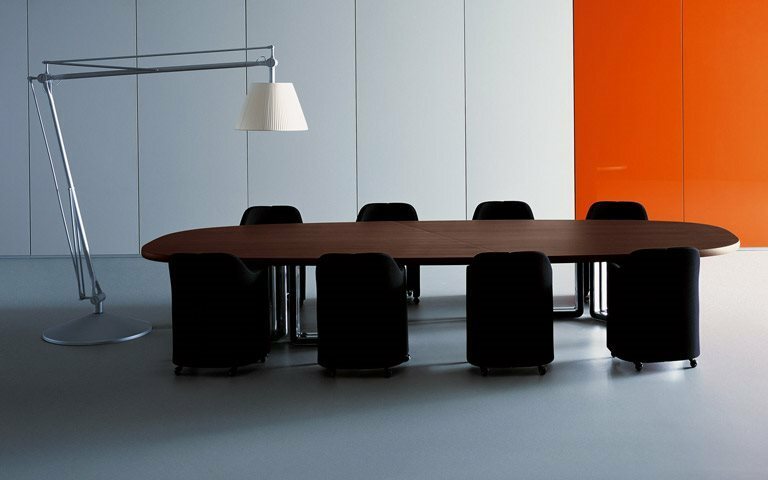 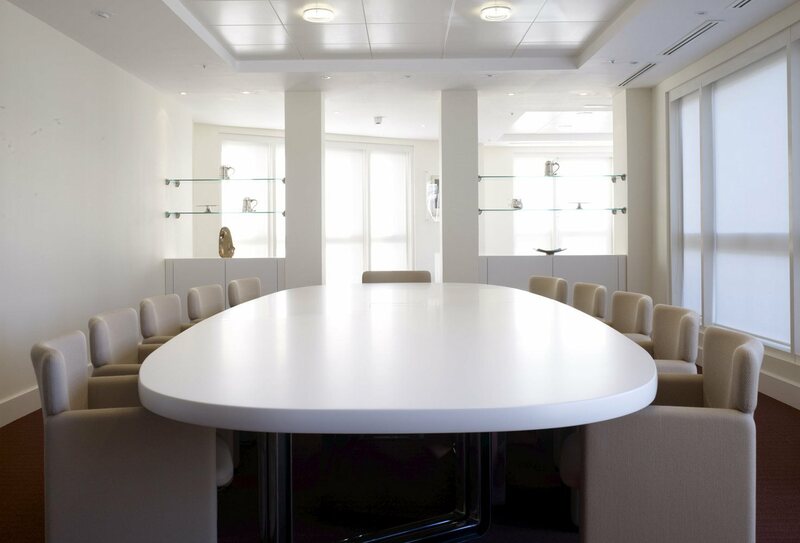 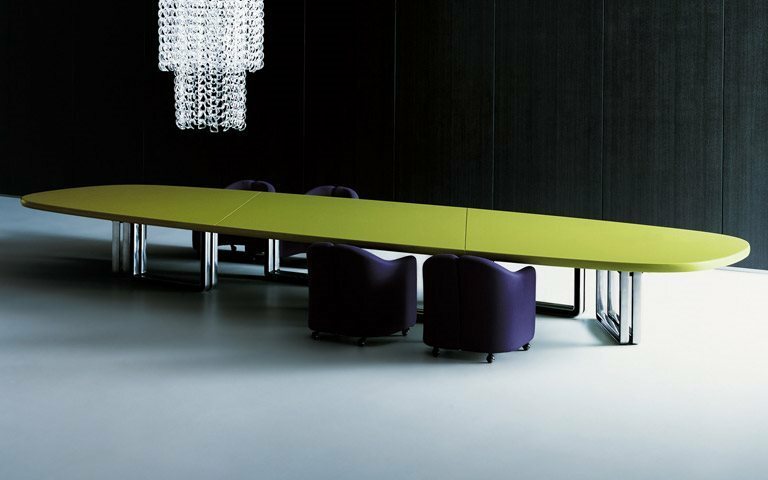 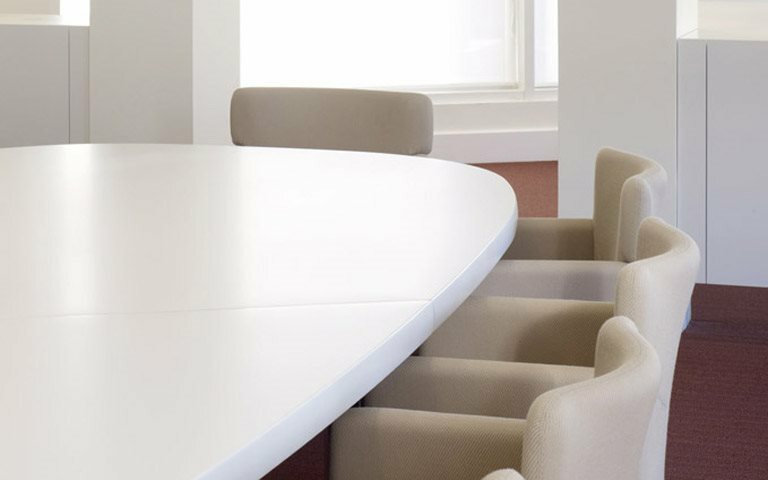 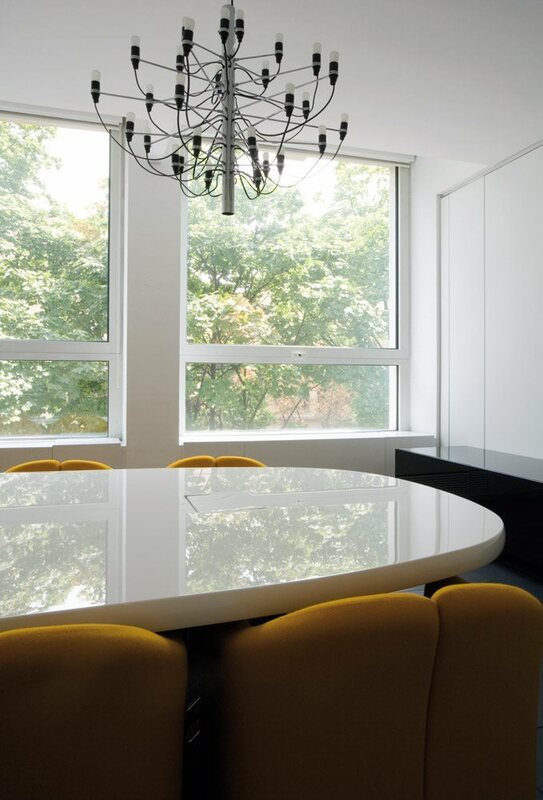 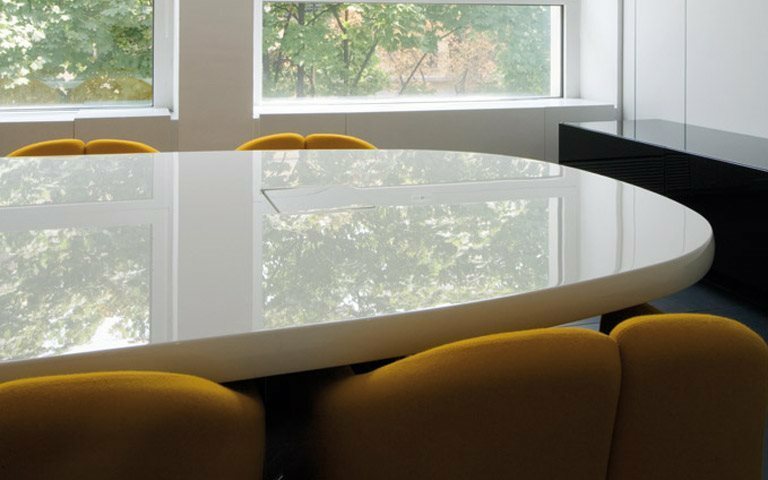 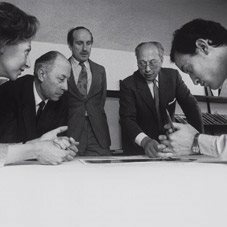 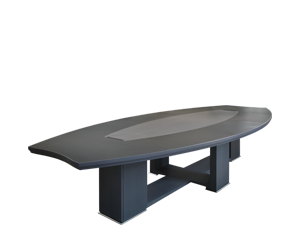 The tops can be circular or elongated in shape, with gently rounded corners in the longer versions for use as large meeting tables. 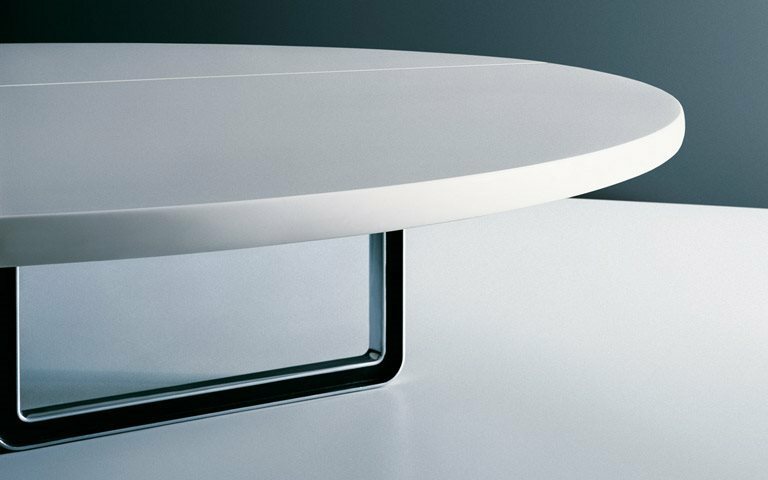 Depending on size, the tops are made up from one or two pieces. 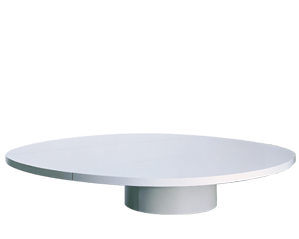 The tops are finished in gloss or matt lacquer in white, dark grey, orange or kiwi green. 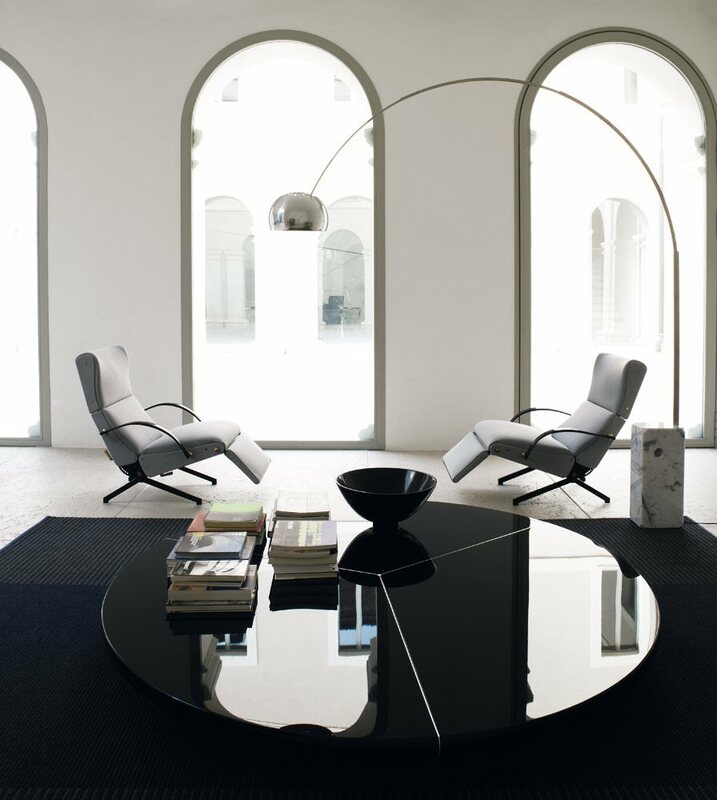 Other possible finishes include natural and open pore dark oak and dark brown lati wood. 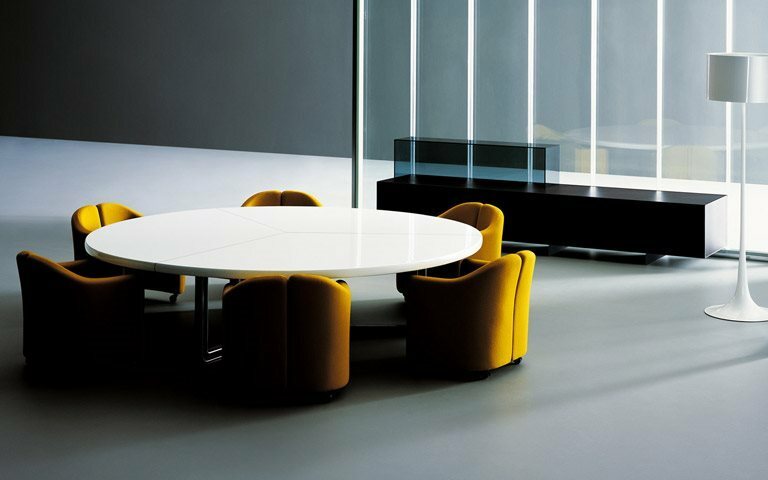 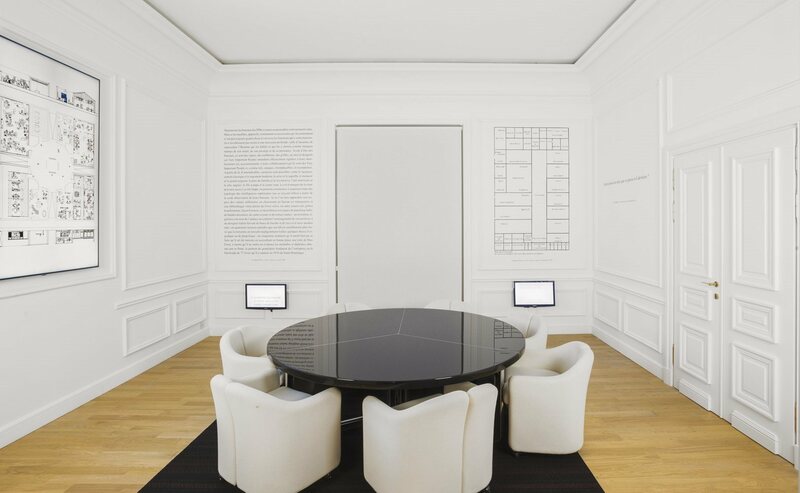 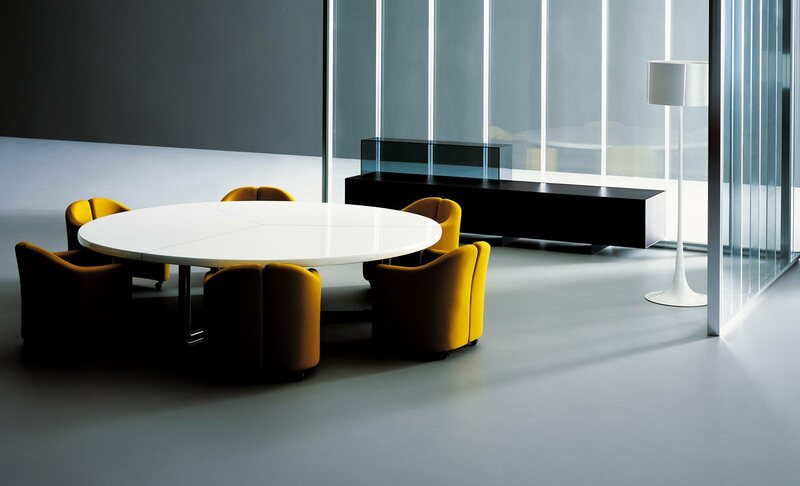 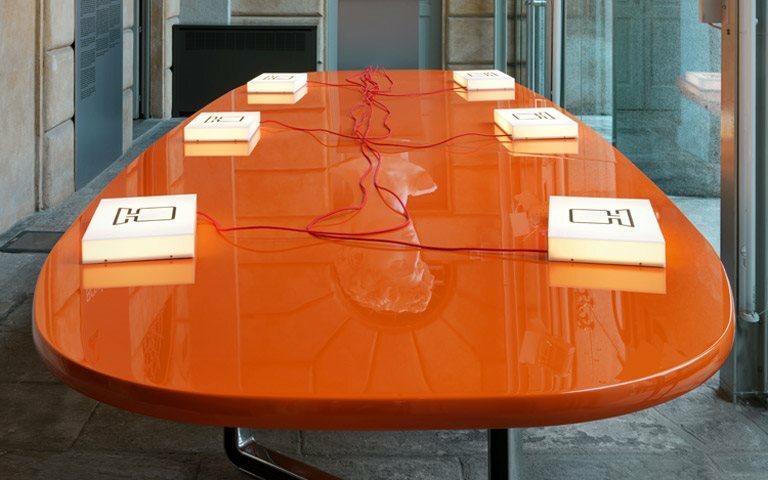 The collection is completed by a series of low complementary tables, all available in the same lacquer finishes as the meetings tables.